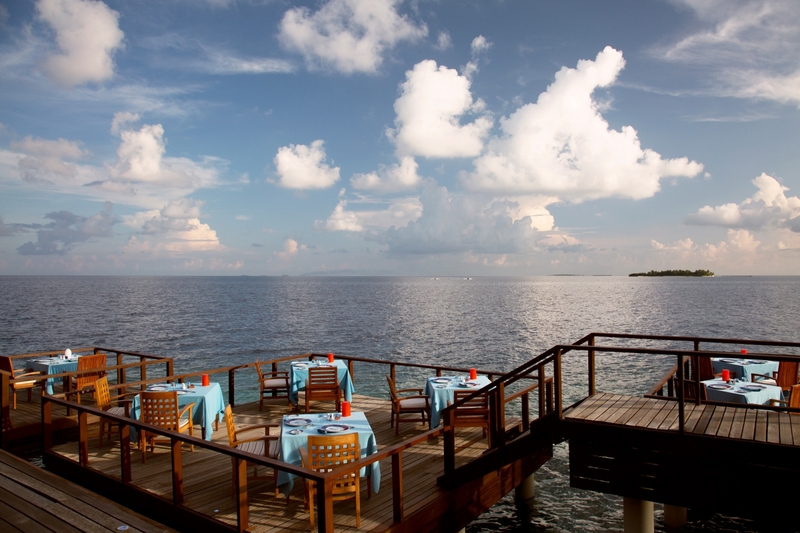 Aqua’s brilliantly fresh seafood reminds us that the sea gives us so much more than beauty alone. 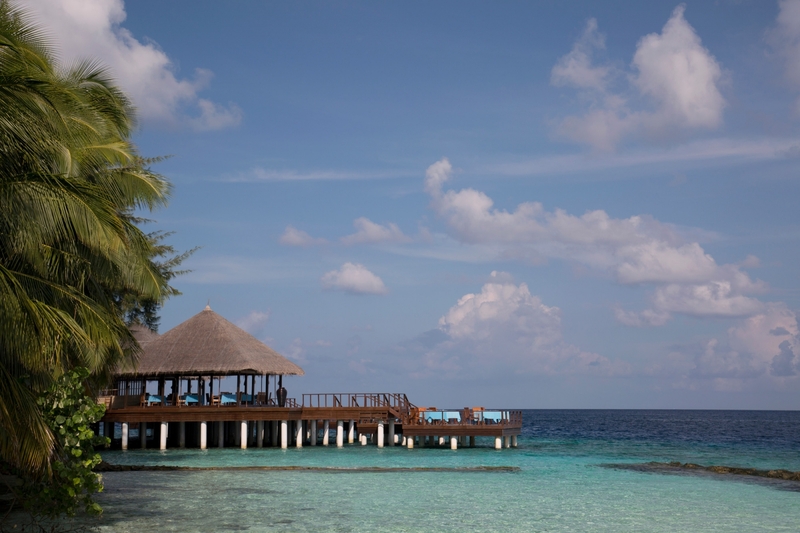 Classical yet modern and exquisitely beautiful, Aqua’s chefs showcase the fragrant delicacy of Thai and South East Asian flavours, in a seasonal menu focussed on the day’s local seafood catch. 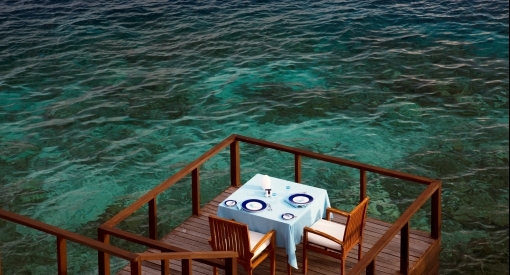 Aqua is our fine dining restaurant. 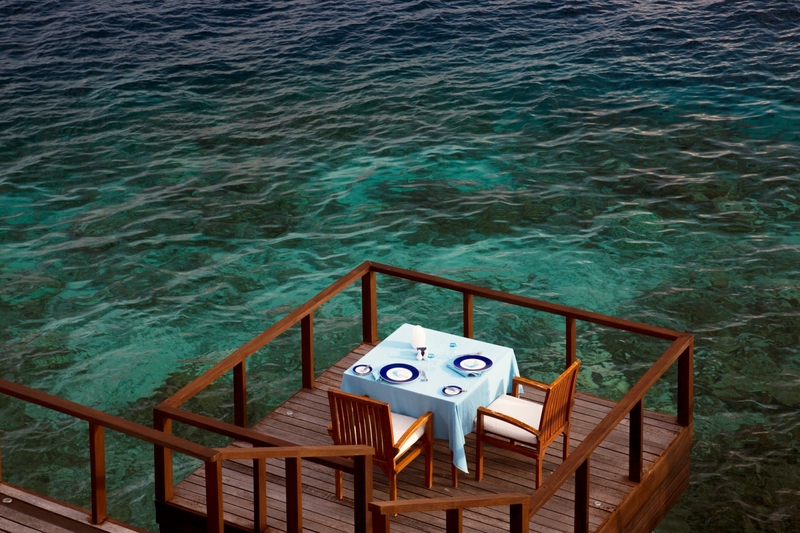 Open for dinner only, it has a distinctively romantic feel. 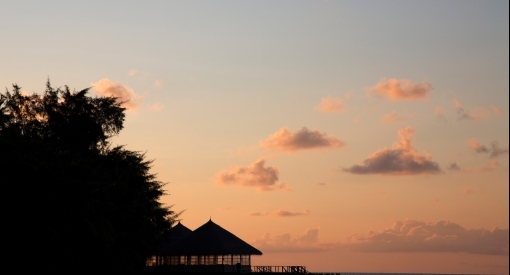 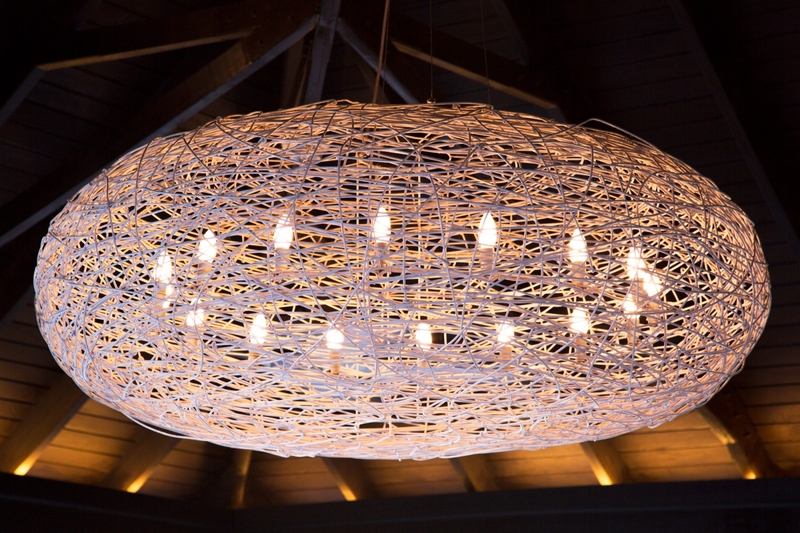 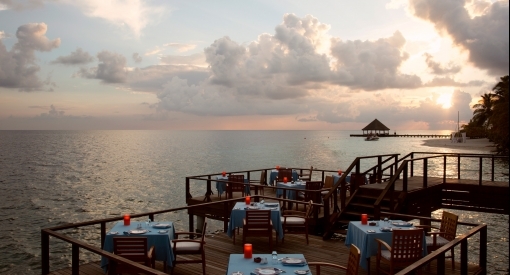 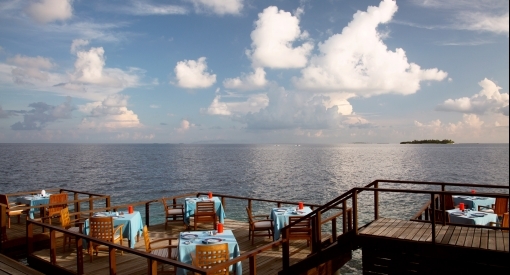 Sitting over the water, it offers spectacular views as well as sensational food and service. 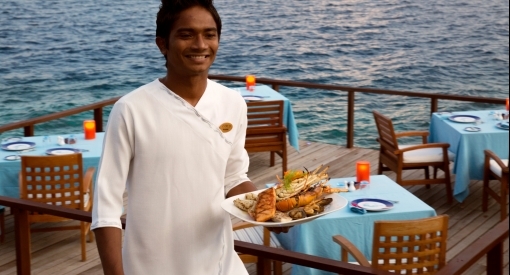 In 2016, it was voted ‘Best luxury seafood restaurant in the Maldives’ in the World Luxury Restaurant Awards. 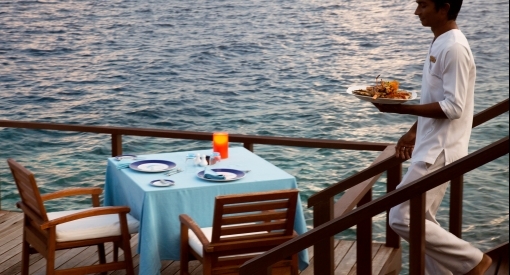 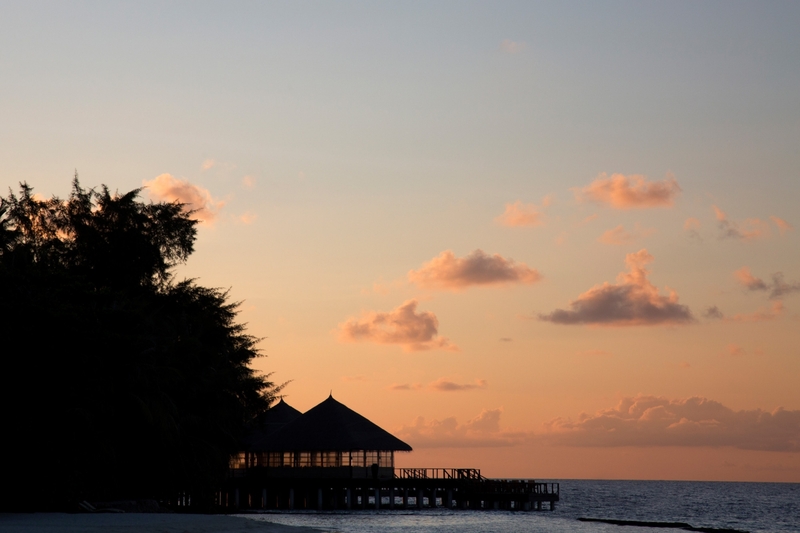 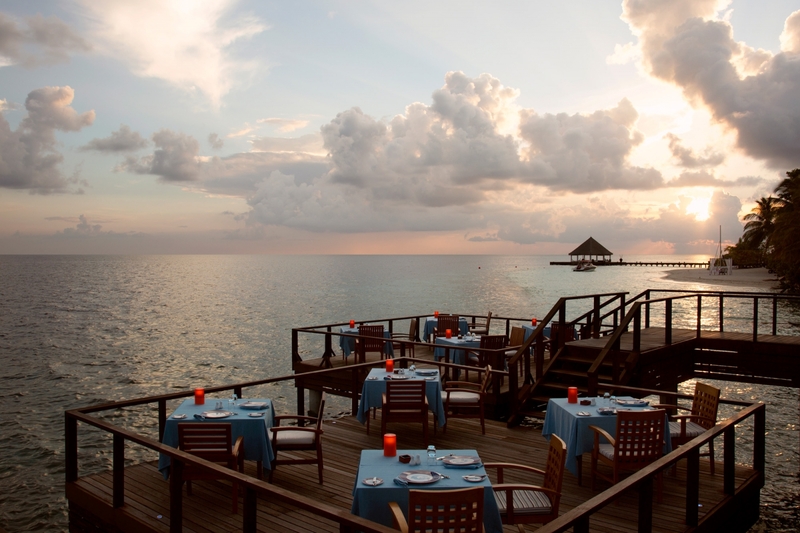 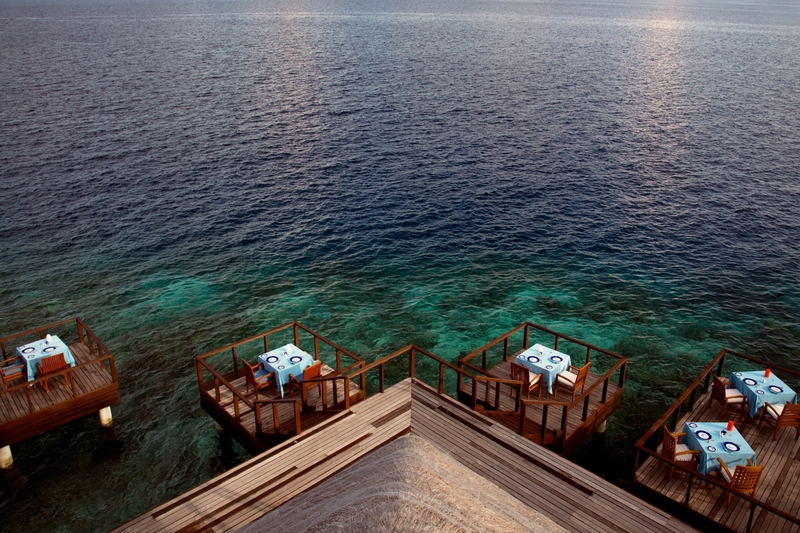 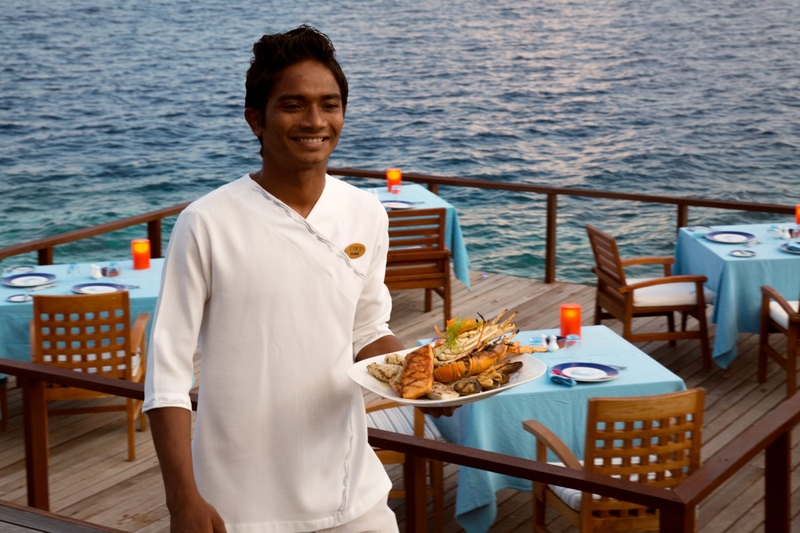 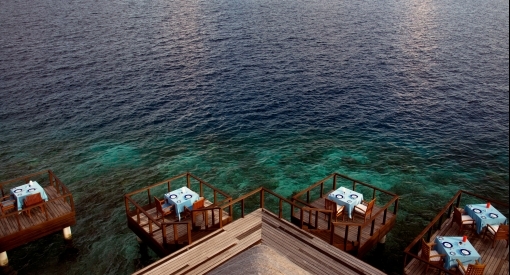 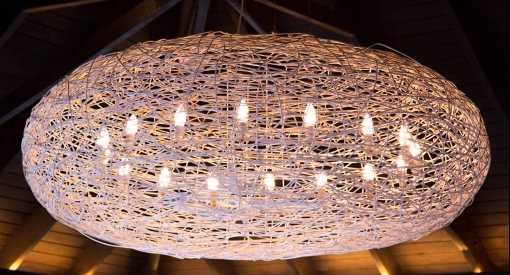 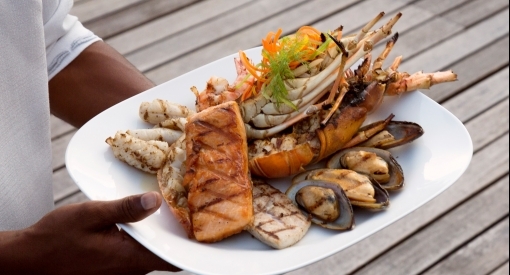 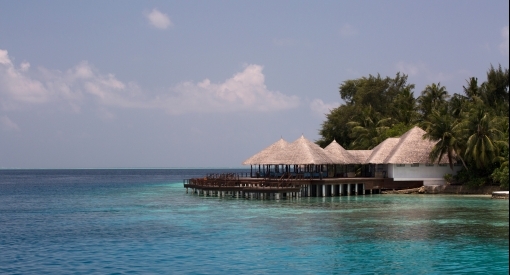 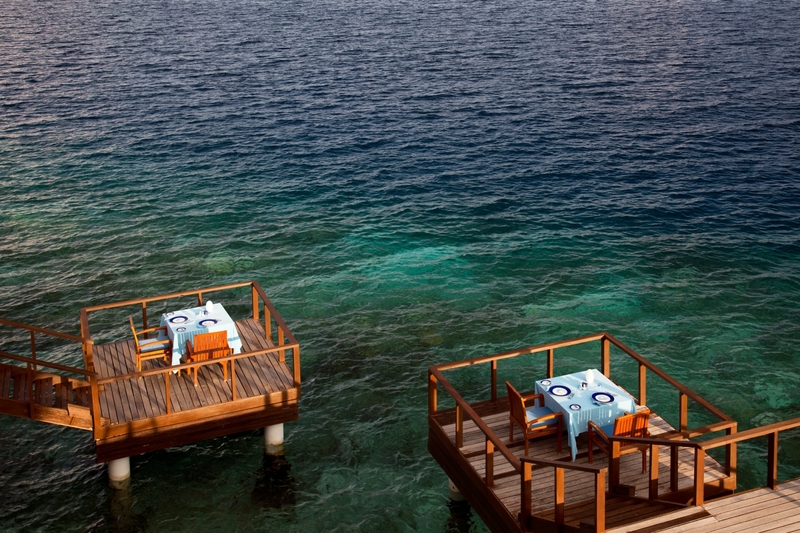 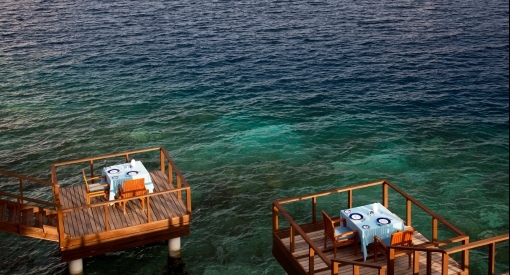 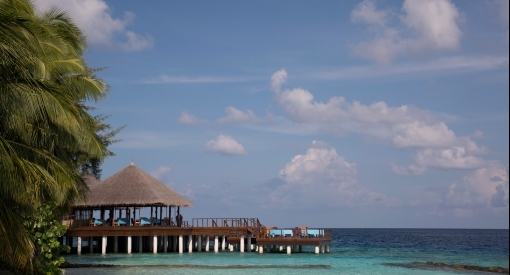 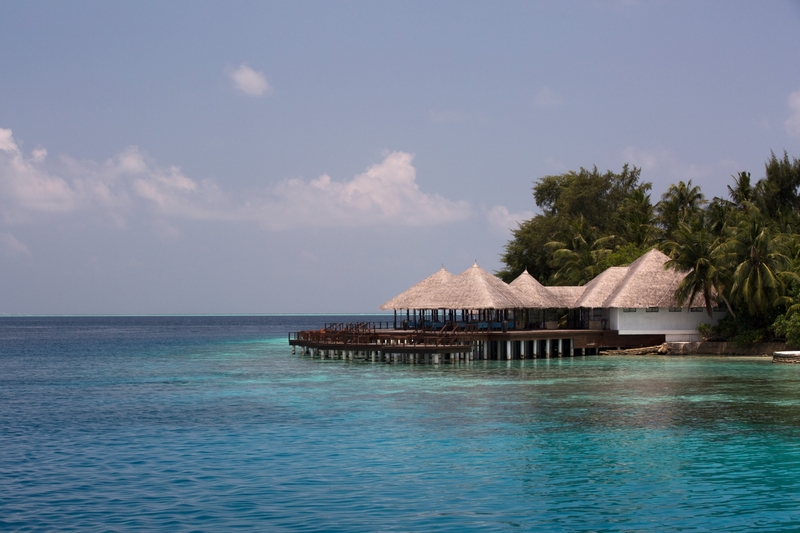 It is its blend of luxury and thoughtfulness that earns our Maldives Seafood Restaurant the accolades it receives. 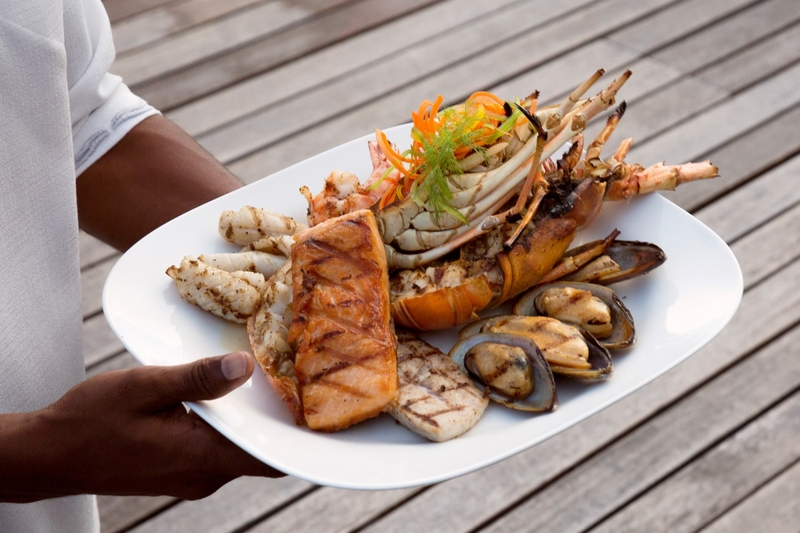 Arranged across a series of decks over the lagoon, guests can enjoy À la carte options such as Peeky toe crab cakes, Balinese Pepes ikan, or a glorious platter of lobster, reef fish, salmon, calamari and king prawn with Asian salads and oriental dips. 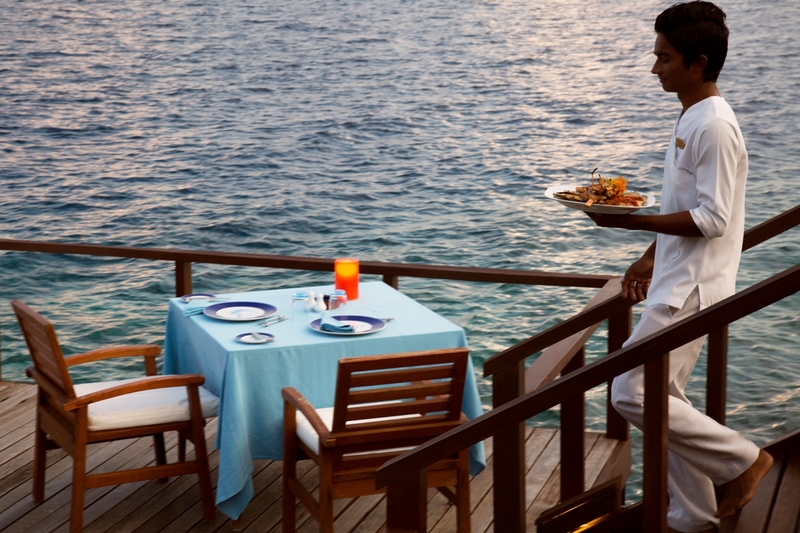 Enjoy Maldives Seafood with an innovative degustation menu with perfect wine pairings is there for those who enjoy flavour exploration and the element of surprise.